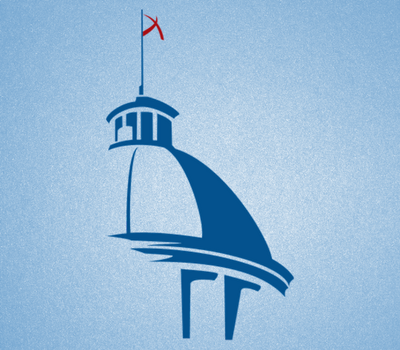 Each year, the Association represents the interest of county government before the Alabama Legislature, seeking to ensure that Alabama laws are written in a manner that is the most favorable to county governments statewide. All 67 counties vote to establish the Alabama County Platform which sets out foundation principles and legislative strategic goals for county government, and the Association staff utilizes this Platform as its guide to advocate for the best interests of Alabama’s counties. The Association offers daily legal and policy advice and assistance to county officials and staff through its office in Montgomery and outside legal counsel in cases that will have a dramatic impact on counties throughout the state. Additionally, Association staff regularly provides counties with important information and guidance on current issues, including conducting regular webinars to keep county officials and staff up to date. The Association also offers many programs for the benefit of county government, such as a County Joint Bid Program and a program allowing counties to offset state income tax refunds for collection of certain debts owed to counties. A leadership program known as PLAN was initiated in 2014 for commissioners elected to a second term in office, with the inaugural class completing the program in August 2016. To provide the best benefits to taxpayers and county employees, many of the counties participate in the Association’s self-funded insurance programs. Workers’ compensation insurance and liability insurance are provided through these efficient, county-run insurance programs. Beginning in 2016, the liability insurance fund also offers property insurance coverage. Each year, the Association sponsors conventions, conferences, and workshops to keep commissioners and their staff informed on current issues and to provide an opportunity to share ideas and successes with colleagues throughout the state. The Association’s Annual Convention is held each year in August, and its Legislative Conference, where the year’s legislative agenda is determined, is usually held in December. The Association administers several professional development and certification programs for county employees through the County Government Education Institute (CGEI). Additionally, the Association staff members regularly serve as trainers in education course offerings for county officials, attorneys, and staff. In 2015, the Association established the Alabama Jail Training Academy to provide a certification program for employees working inside Alabama’s jails. These organizations have become a vital part of the Association’s efforts on behalf of counties, and promote the highest standards of professionalism and performance. The organizations elect their own officers from within their ranks and hold annual conferences to remain informed on issues important to their job performance. Additionally, each organization has an educational program designed to train new personnel and keep seasoned employees up-to-date on the roles and responsibilities of county government. The Association’s magazine, County Commission, is published six times a year and provides county officials information on current issues important to the operation of county government. Additionally, the Association publishes a directory of county officials and other publications, such as Comparative Data on Alabama Counties and overviews of county road and bridge needs. The activities of the Association are governed by its officers and board of directors. The officers – president, president-elect, vice president, and minority director – are elected each year by vote of the counties. The members of the Board of Directors are elected by vote of the counties within each of the twelve Association Districts. The elections are held during the business session at each Annual Convention in August. There is also a Legislative Committee responsible for overseeing the development of the Alabama County Platform and assisting with advocacy efforts during each legislative session.